365Trading is a top ranked binary options broker. They are based out of Cyprus, and although they were only founded in 2012, they have already grown into a strong and reputable broker. If you are looking for a binary options broker to work with, this is a site that’s worth considering. With our 365Trading review, our goal is to give you all of the info that you will need to make an educated decision. Read on to find out if this broker has the potential to help you in your trading. Who Can Trade at 365Trading? There are some simple rules to figure out if you can legally trade at 365Trading. Are you age 18 or older? Are you located in the EU? If you answered yes to both of these questions, then you are legally allowed to trade here. 365Trading does not allow traders from the United States, Canada, or Brazil, amongst other countries, to use their services. More than this, 365Trading is not a site that should be used for gambling purposes or for recreation. Yes, there is a thrill to trading, but if it is not approached seriously, there’s a strong chance that you will lose money. In order to avoid this, we suggest that you only use 365Trading once you feel completely comfortable with the site and have looked at the risk that is involved with trading and have done everything that you can to overcome this. To start, you need to create an account with 365Trading. You can create both a real money account and a demo account. We recommend the 365Trading demo account as your starting point so that you can experience the broker and all that it has to offer in real time with the markets, all without ever risking any real cash. After this, and after you are confident that this is the right place for you, then you can open up a real money account. To trade with real money, you will need to fund your account once it’s been created. You can do so with a Visa, MasterCard, or American Express, a wire transfer, or with several different e-wallets, like SoFort, iDeal, giropay, or Neteller. The minimum amount to fund an account is 100 euros. Unlike some other brokers, 365Trading requires you to verify your identity within 10 days of funding your account. After 15 days, if your account is still not verified, they will return your cash to the source that it came from. In order to avoid this from happening, you need to provide their customer service department with a copy of your government issued identification card (either a passport or a driver’s license), something that provides proof of your address (like a utility bill, where your name and address are clearly provided), and a copy of a bank statement, if you are conducting a wire transfer. This is the standard verification process in the world of binary options, but because 365Trading takes anti-money laundering laws and other such fraud prevention measures seriously, they implement this process right after the funding process, and not right before the withdrawal process begins. 365Trading has a number of different choices for their clients to take advantage of. One of these things includes a thorough educational center. This features a few ebooks, a financial calendar, both general and Forex related news updates, and access to economic indicators. To find these tools, just click on the “Education Centre” tab at the top of their homepage. You will also find a number of educational videos here. 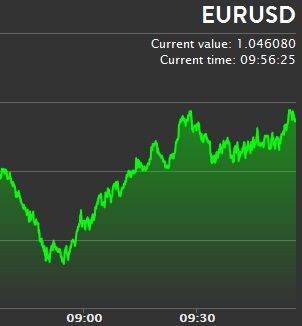 These are designed to teach you about the site, binary options, and the different strategies that you will need to master if you want to be a successful trader. This alone isn’t enough to help you turn a profit, but it’s a strong start. They also have a “Tips and Strategies” section located under the “Binary Options” tab. For those that are new to trading, these are sections that you will definitely want to explore in depth. To begin trading, click on the “Trading Desk” link at the top of the 365Trading homepage. You can choose from a number of different stocks and indices from Europe and the United States, a handful of commodities, and a wide array of the most popular Forex currency pairs. In total, they have over 50 different assets available to their traders. 365Trading has a custom created trading platform, but it appears to be a very solid one. It is easy to navigate, and you can trade more than one asset at a time without switching screens on your desktop computer. This helps traders to stay focused and save a little bit of time here and there. As far as the actual trading instruments offered, they only offer the traditional European style call and put digital options. These come in a range of different expiries, including 60 second options, 120 second, 5, 10, 15, 30, and 60 minute binary options. These are the more heavily used timeframes when it comes to short term binary options, but the lack of longer term trades is going to be a drawback of this site. Our 365Trading review team was not concerned by the lack of exotic options simply because these often lead to more losses than gains. However, longer term expiries can serve a very important purpose in the hedging and risk management systems that many traders employ. The only longer term expiry they offer at this time is for 24 hour options. 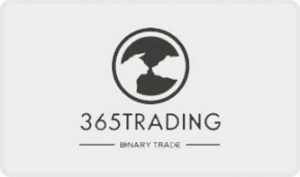 If you have questions about 365Trading, get in touch with their customer service team. They have a lot of helpful people on their staff that can answer your questions, let you know about promotions that the site might be running, and get you familiarized with their platform and what it has to offer you. You can email them at [email protected], or give them a call at 44 20 3318 1264. A strong customer support section is an important part of a successful binary options broker. Their support office is open five days a week during regular business hours. During these times, they are able to process withdrawal requests within 24 hours of your submission. Are you thinking about trading binary options? Is 365Trading the right broker for you? Well, if you’re located in an area where this broker is legally allowed to operate (such as most of the EU), and you’re over the age of 18, this broker might have something to offer you. Make sure that you know the risk that is entailed when you trade binaries, and that you have properly prepared yourself to manage this effectively. If you’re on the fence when it comes to trading here, our 365Trading review team recommends that you open up a free demo account with them. This will allow you to test out the site for free, exploring all of the features that this broker has to offer. After a few days, you will have a much better understanding of whether or not you should be trading here. Hopefully we’ve given you all of the information that you need to make an informed decision. If you still have questions, feel free to explore the site yourself.